At its regularly scheduled meeting on Tuesday, June 9, 2015, the Board of Trustees of the Peralta Community College District voted to appoint Dr. Jowel C. Laguerre as the next Chancellor of the four-college district. 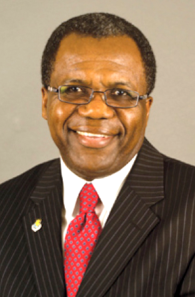 Dr. Laguerre, pending contract negotiations, is expected to take up his position overseeing Berkeley City College, College of Alameda, Laney College and Merritt College in July. The Peralta Colleges serve 60,000 students annually.